CALLING ALL TEENS! 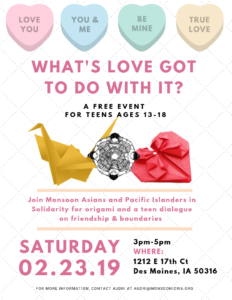 Monsoon's Violence Prevention Program is putting on a workshop for Teen Dating Violence Awareness Month called What's Love Got to Do With It: A Teen Dialogue on Friendship & Boundaries. 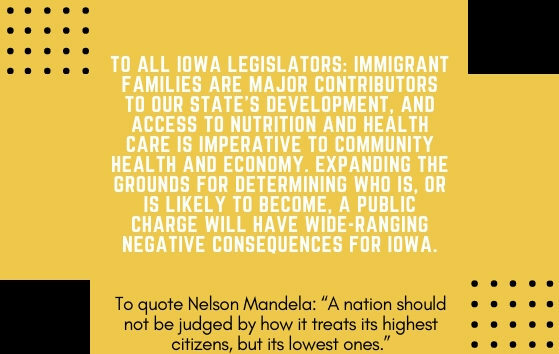 The event will take place on Saturday, February 23 from 3p-5p at Monsoon's Community Healing Center in Des Moines. 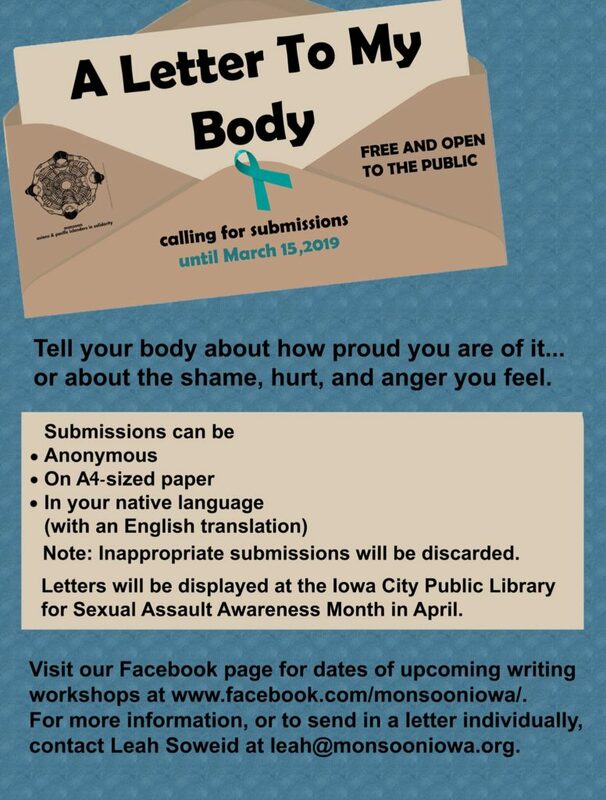 It is free and open to teens ages 13-18 only! The Violence Prevention Program will give a short presentation and then facilitate a dialogue on teen friendship & boundary issues. Afterwards, a guest art teacher will give guests a tutorial on how to make origami. 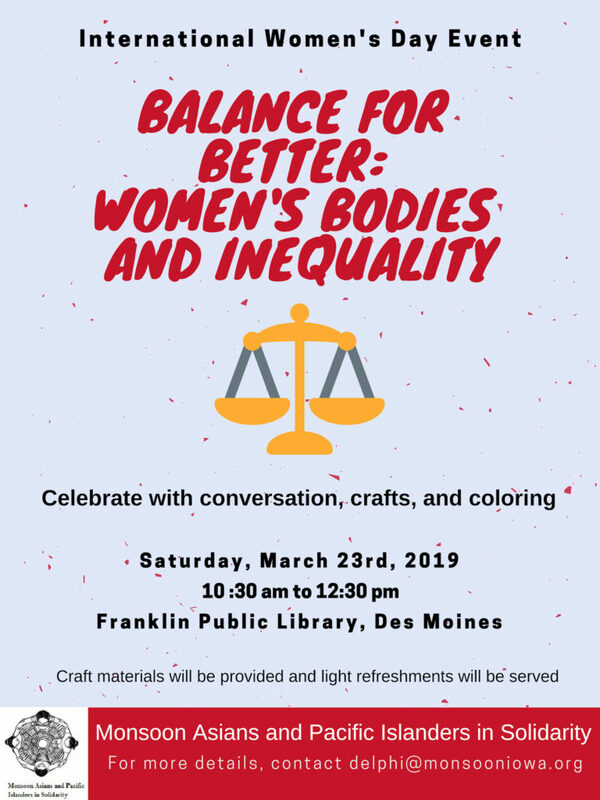 Snacks and light refreshments will be provided. Due to spacing, this event will limited to the first 20 participants. Please register in the form below. Celebrate International Women’s Day with Monsoon!